Text messages (which are short messages, usually 160 characters or less, sent by cellphone) are particularly convenient when you can’t talk at the moment (maybe you’re in a meeting or class) or when you just have a small bit of information to share (“Running late — see you soon!”). On the Home screen, tap the Messages icon. 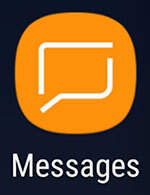 The Messages icon looks like an envelope. When you tap it, you will get a mostly blank Home screen for texting. The initial Messaging Home screen. When you have some conversations going, it begins to fill up. Tapping the New Message icon brings up the screen shown. Tap to enter the recipient’s ten-digit mobile telephone number. As shown, the top field is where you type the telephone number. The numerals are along the top of the keyboard. 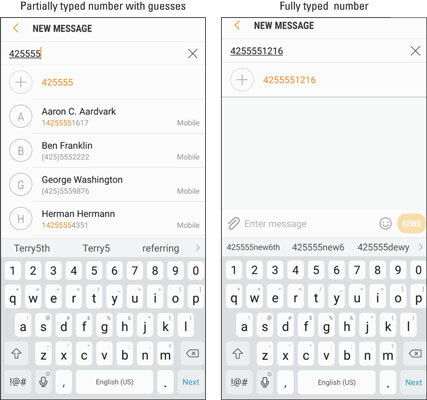 Type the recipient’s number in the upper text box. Be sure to include the area code, even if the person you’re texting is local. There’s no need to include a 1 before the number. 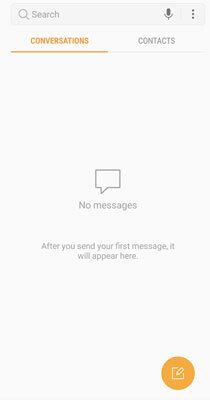 If this is your first text, you haven’t had a chance to build up a history of texts. After you’ve been using your messaging application for a while, you will have entered contact information, and your phone will start trying to anticipate your intended recipient. You can take one of its suggestions or you can just keep on typing. To type your text message, tap the text box that says Enter message. The figure shows you where to enter your text. Your message will appear in the text box to the right of the paper clip icon. 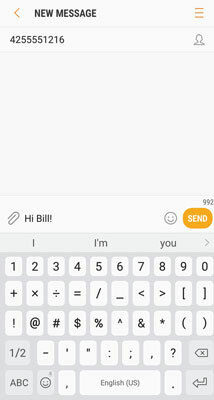 In the Android Messaging app, your text message can be up to 160 characters, including spaces and punctuation. The application counts down the number of characters you have left. 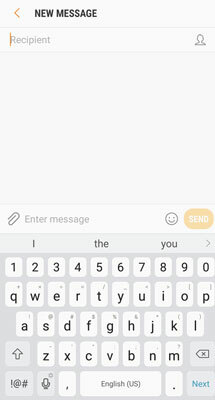 The Send button is grayed out before you start typing. After you type something, it turns full-on orange. Once you tap the button, the phone takes it from here. Within a few seconds, the message is sent to your friend’s cellphone. In most cases, the default for your texting app is for your phone to automatically correct what it thinks is a misspelled word. You can see it guess on the darker gray area under the text message. This capability is called autocorrect. You may find it very handy, or you may find it annoying. If you like it, you should still verify that it corrected the word in the right way. If you want evidence as to why this is a good idea, search “funny autocorrect examples” in your favorite search engine (although some can be very racy).